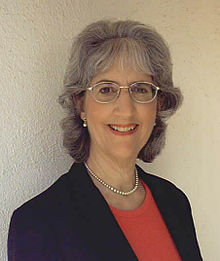 Aletha Jauch Solter, Doctora (PhD) (1945 - ) Es una psicóloga suiza americana que estudió con Jean Piaget en Suiza antes de conseguir su doctorado en psicología en la Universidad de California, en Santa Bárbara. Sus áreas de especialización son el apego, los traumas psicológicos y la disciplina sin castigo. Lo que diferencia su trabajo es que combina principios de la crianza con apego con la comprensión del impacto que crean el estrés y el trauma, y por esto su trabajo es aparentemente capaz de ayudar a las familias que están lidiando problemas con el sueño, la disciplina y salud emocional, y que otros acercamiento han sido incapaces de resolver. Su primer libro The Aware Baby ha vendido más de 150.000 copias alrededor del mundo. Otras publicaciones han sido Helping Young Children Flourish, Tears and Tantrums, Raising Drug-Free Kids, and Attachment Play. En 1990 fundó The Aware Parenting Institute, una organización internacional con instructores certificados de varios países. Aletha Solter ha escrito cinco lobros sobre crianza, los cuales han sido traducidos a varias lenguas. Attachment Play: How to Solve Children's Behavior Problems with Play, Laughter and Connection. Shining Star Press, 2013. Raising Drug-Free Kids: 100 Tips for parents. Da Capo Press, 2006. The Aware Baby. Shining Star Press, 2001. Tears and tantrums: What To Do When Babies and Children Cry. Shining Star Press, 1998. Helping Young Children Flourish. Shining Star Press, 1989. A 2-year-old child's memory of hospitalization during early infancy. Infant and Child Development, 2008, 17, 593-605. A case study of traumatic stress disorder in a 5-month-old infant following surgery. Infant Mental Health Journal, 2007, 28(1), 76-96. Hold me! The importance of physical contact with infants. Journal of Prenatal and Perinatal Psychology and Health, 2001, 15(3), 21-43. Warum Babys weinen (Why babies cry). In T. Harms (Ed. ), Auf die Welt gekommen: Die neuen Baby Therapien (pp. 387-409). Ulrich Leutner Verlag, Berlin, 2000. Helping Preschoolers Cope With Stress. In B. Farber (Ed. ), Guiding Young Children’s Behavior: Helpful Ideas for Parents and Teachers from 28 Early Childhood Experts (pp. 118-123). Preschool Publications, Inc., 1999. Why do babies cry? Journal of Prenatal and Perinatal Psychology and Health, 1995, 10(1), 21-43. Speed, accuracy, and strategy differences in spatial processing. Bulletin of the Psychonomics Society, 1981, 18(2), 58-59 (with J.W. Pellegrino & V. Cantoni). Broader transfer produced by guided discovery of number concepts with preschool children. Journal of Educational Psychology, 1978, 70(3), 363-371 (with R.E. Mayer). Esta página se editó por última vez el 31 oct 2017 a las 02:52.